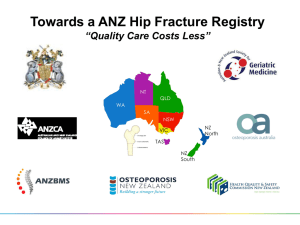  90% of patients admitted with a hip fracture are over 65. 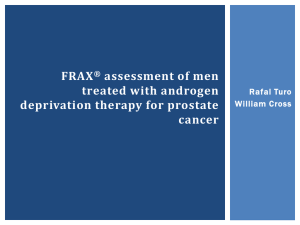  10% die in the first 30 days; 30% die within a year. 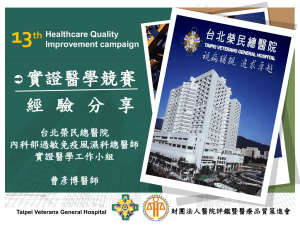  Its common – average 450/yr in the RBH.  <50% return back to their own home. 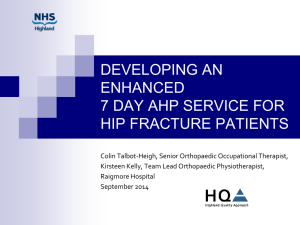 loss of independence and QOL associated with a hip fracture. 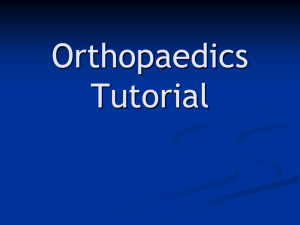 rehabilitation, falls and bone health assessments. 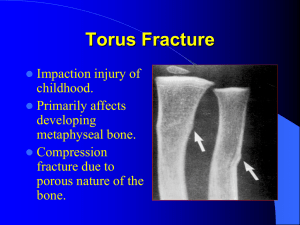  Reduction in bone density with a subsequent increased risk of fracture. 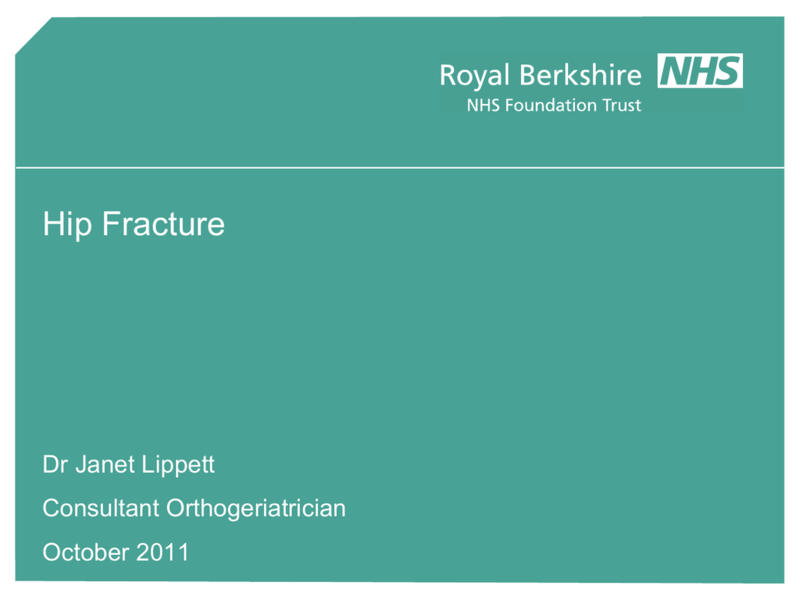  Life time risk of fracture in women over 50 is 1 in 2. 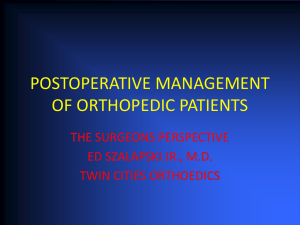  Osteoporosis is a “silent illness”. 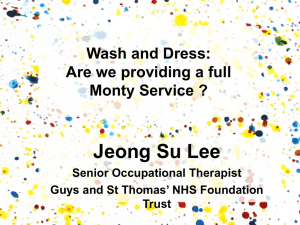 Wash and Dress: Are we providing a full Monty Service?